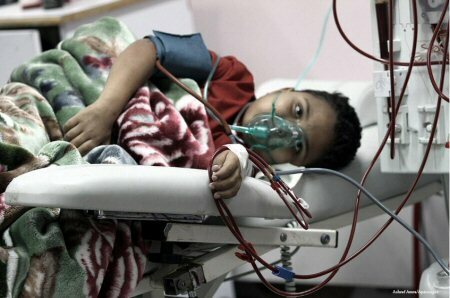 Thousands of patients with chronic diseases, in the Gaza Strip, suffer from a shortage of medicines which are supposed to be distributed to them every month in primary health centers throughout the Gaza Strip. According to a report by the Palestinian Center for Health Information in the Ministry, the total number of diabetics and sufferers of hypertension, in Gaza, numbers 350 thousand patients. These people attend primary care clinics, at the rate of a monthly visit to each of them, to follow up, upon which they are supposed to receive treatment if available. The report showed an increase in the prevalence of chronic diseases in the Gaza Strip, from 35% to 46% between 2016 to 2017, in addition to an increase in the rate of diabetes, from 31% to 32% between the years (2016 – 2017). The supply of medicinal drugs that are supposed to be available, in the ministry clinics, amounts to 145 categories. Currently, there are only 45 categories. The deficit is 70%, while 16 categories are expected to be completed within the next three months. The patients cannot find alternative treatment, most of the time, according to Al Ray, and the threat of facing more serious complications is on the rise.